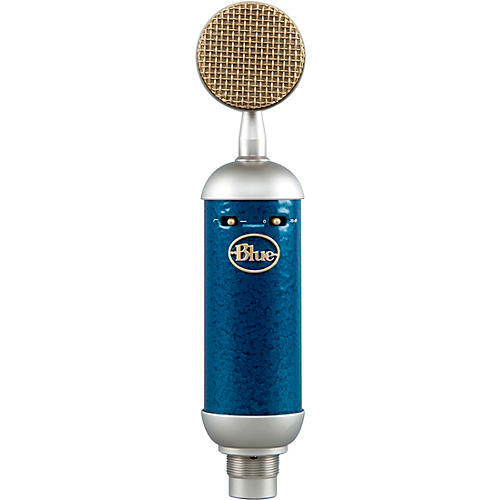 Spark SL is a perfect way to bring Blue’s legendary studio sound into your recording projects. The custom-designed capsule and Class-A electronics deliver a classic, transparent sound with superb detail and rich harmonic content, while the high-pass filter and -20dB pad provide ultimate flexibility. Accommodate loud vocalists or instruments with ease, eliminate harsh sibilance at the source, and work the distance and proximity effects with complete confidence. Whether you’re just getting started building out your project studio or expanding your already loaded mic locker, Spark SL offers versatility and trusted Blue performance for recording vocals, drums, guitars, pianos and more. The Spark SL comes with both a pad and high-pass filter switch so you can extend your recording applications and take full advantage of the Spark’s versatility. Engaging the -20dB pad switch will give you ample headroom to record loud sources like guitars amps or dynamic vocalists. When this is set to 0, the Spark SL will send more signal to your audio interface to capture more nuanced performances from quiet instruments like acoustic guitars, violins or pianos. The high-pass filter switch will eliminate any low-end rumble often caused by recording frequencies under 100Hz on certain instruments. With this roll-off switch engaged, the Spark SL works great on acoustic instruments and will excel when used as a stereo pair to record complex instruments like the piano or even as room mics to create a natural reverb for drums, guitar, synths and more.